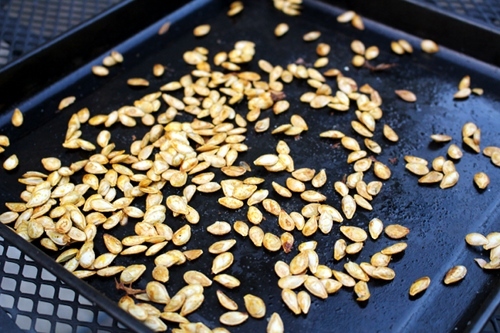 One of the best parts of Halloween is roasting pumpkin seeds. I've always loved this holiday, and I remember as a kid how disgusting and yet, fun, it was to cut the lid off a pumpkin and reach in to pull out all the gooey seeds before carving a scary face on the side of the pumpkin. 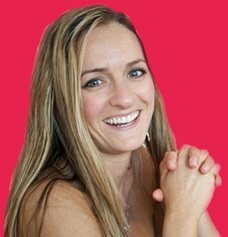 When I "grew up," I never really outgrew those traditions. Now my pumpkin seeds just have more spices and I will literally roast every seed I find in any squash. 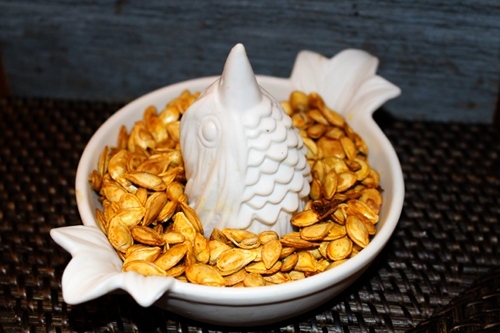 Pumpkin seeds are packed with all kinds of nutrients (just like their outer shell the pumpkin,) so besides the fun of getting sticky hands, it's in your best interests to preserve and eat the seeds. 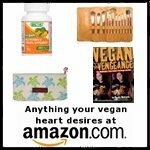 Just like with most vegan foods, the seeds are packed with fiber, which helps keep our systems regular. As with other nuts and seeds, pumpkin seeds also have plenty of protein and make for an awesome little snack to fill you up and keep your muscle regenerating. The two biggest nutrients in the seeds are the minerals zinc and magnesium, and vitamin E, which is a powerful antioxidant. The seeds have interesting anti-fungal and anti-microbial properties, which basically means they can keep your body from getting sick. Zinc is also known to be great for warding off illnesses and promoting a healthy prostate, so eat up men! 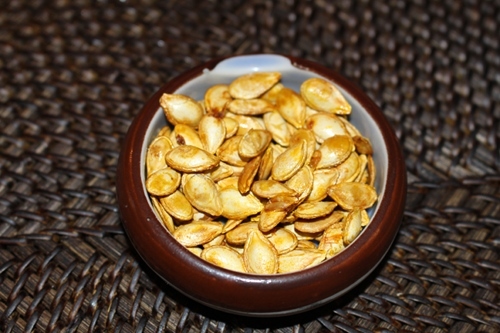 One of the biggest benefits of pumpkin seeds is that they are loaded with mono-unsaturated fatty acids, or MUFAs (pronounced moo-fa) as health fanatics call them. Fatty acids help remove free radicals, those feisty particles that in less healthy individuals will collect, pile up, and cause degenerative diseases like cancers. And lastly, pumpkin seeds have the same effect as the typical Thanksgiving dinner; the tryptophan in them will make you tired. If you're having trouble sleeping, you might consider popping a few of these little seeds right before bedtime. You can buy the little green insides of the pumpkin seed itself in stores, and those are certainly healthy for you, but it turns out eating the whole seed is the best way to do it. That outer shell of the seed itself has more zinc than the inside. 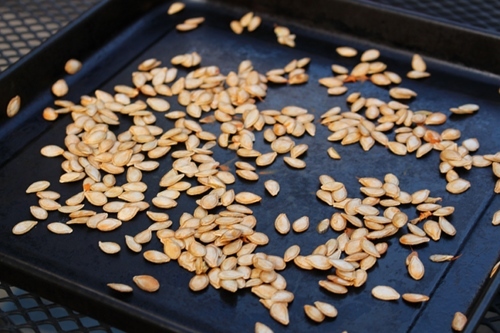 We were all on the right track when we just deseeded our pumpkins and plopped that whole pile of white seeds directly onto a baking sheet. 1. 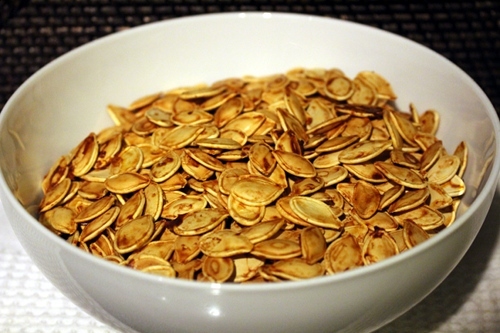 Remove pumpkin (or other squash) seeds. 2. Lay the seeds flat on a baking sheet. Purists like to pat the seeds dry with a paper towel, but I just try to remove most of the orange flesh and leave them still slimy. I like the rustic look and flavor of some baked pumpkin bits. 3. Spray with a cooking spray. I use a coconut oil spray. You could also use another oil and just make sure all the seeds are coated in oil. 4. Sprinkle on your flavorings. You want just enough to put a few granules on each seed. Don't be too worried about exact measurements; just take out your spices and use your fingers to sprinkle them on top of the seeds. 5. Bake on a low temperature (around 200 degrees F) for about 20 minutes. Stir the seeds once about halfway through to make sure both sides get tanned. I do sometimes rush the baking process by cooking it around 325 degrees for about 5 minutes, just until the seeds start popping, but if you do this, keep an eye on the seeds because they'll burn really quickly. That's all there is to roasting pumpkin seeds. It's super easy, and so it's totally worth it to go crazy experimenting with flavor combinations. My go-to spice is pink sea salt. I love the simplicity of a crunchy seed with just a touch of salt to bring out the nutty flavor. 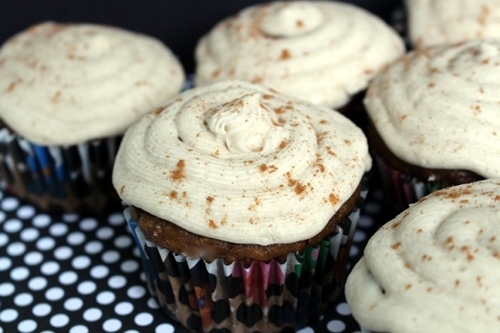 What Else Can You Do With Pumpkin?